Up until now, we’ve been talking about Counties. So if we searched four counties, that’s four hours of time, right? Not so fast, Tiger. Many cities and municipalities are incorporated areas. That means they are separate in many ways from the county. They might have their own websites and not report sales data online. They won’t be searchable at the county level. Now those four hours have increased geometrically. The odds of getting sales just dropped too. No, that wasn’t a typo. Here’s another curve ball – there are a handful of “non-disclosure” states where deed prices do not have to be recorded. So even if you slog through trying to find sales online, that doesn’t mean for sure that you will see their sale prices! 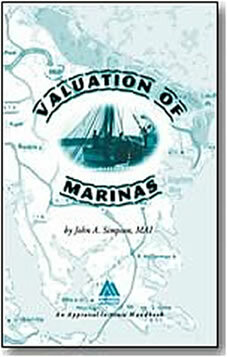 You won’t know if the marina sold for a buck or ten million dollars. I’ve always been perplexed with this way of thinking. It takes a lot of time and effort to just get a sale price in these states, and, no, it’s not recouped in the appraisal fee. So now we finally get to the part where we have sales data and sale prices. That isn’t a guarantee that you’ll be able to do a sales comparison approach or even be able to use a single sale! All that hard work might be for naught. Wonder why? Remember what I said about market niches? You have to do a whole other level of research to figure out if you’ve got a warehouse marina, boat dealership, boat yard, megayacht marina, hotel marina, golf course marina, B&B or Inn marina… you get the point. Is it a marina with a restaurant or a restaurant marina? Which is the primary revenue generator and by how much? It’s all according to your personal definition of “comparable”. So at this point, you’re hoping to find a website for the marina. You’ll still likely have to call someone and hope they provide you information over the phone. That’s another situation where there’s no guarantee but by now, you’re used to it. So What Are Marina Sales Good For? At last we have a working set of data you’re ready to plot out in a grid to make adjustments. Well, I hate to break it to you, but I’ve yet to find a marina owner who does the addition and subtraction. In the eyes of marina owners, sales are just a rough rule of thumb. That’s all they’re good for. When you adjust your sales, you’re going deeper than the market, and possible in a different direction. Here’s what’s important from the sales comparison approach – price per slip or price per acre as a test of reasonableness to the income approach. 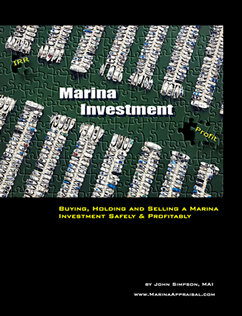 In the current recession, a marina purchaser will always look at the financials to determine market value because upside potential is not financeable. If there’s much of a business going on at the marina, it’s treated like buying a business – show me the money, or in this case the financial statements. So if your income approach indicates a market value of $28,000 per slip and your sales show $18,000 to $48,000 per slip… well… you’re in the range. If your subject appears to be in the same general market niche of your marina comparables, you’ve supported your value indicator just like a market participant. And that’s what the marina sales are good for.